Liverpool’s annual celebration of African culture, music and cuisine is just around the corner, here’s Getintothis guide to who’s playing and what to expect. It’s that time of year again. 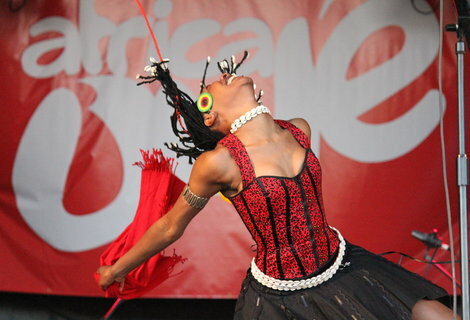 The sun dares to make an appearance, people start wearing clothes that reveal body parts they forgot they ever had, and last but certainly not least, the organisers of Africa Oyé have unleashed this year’s line-up of performers from Africa and beyond. Having consistently showcased the finest music from Africa and its diaspora for more than two decades in Liverpool, they have scoured the globe once more as the best in reggae, Afropop and Latin-American music descends on Sefton Park on June 22-23. However, there’s more to Africa Oyé than just the music. Huge crowds from all walks of life and nations swirl around a plethora of stalls selling international cuisine, clothing, crafts and myriad other treasures and trinkets. In terms of making genuine attempts at bridging cultural divides, Oyé is a standout event in not just Liverpool, but Britain and beyond. Fingers crossed for good weather, and Oyé always provides the most memorable, boisterous and simply entertaining weekends of the year. An inevitably rich, cultured and experienced line-up brings with it much promise. 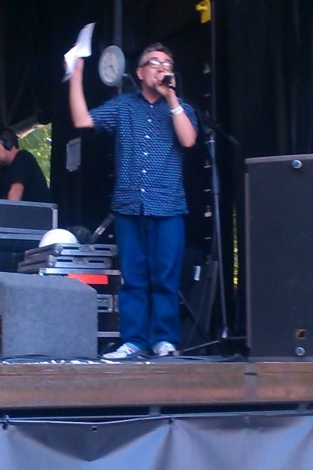 We should expect good things from Mokoomba. Their international debut, Rising Tide has garnered critical acclaim from all corners of the world and they have been dubbed ‘Africa’s most internationally successful young band’ in the national press. 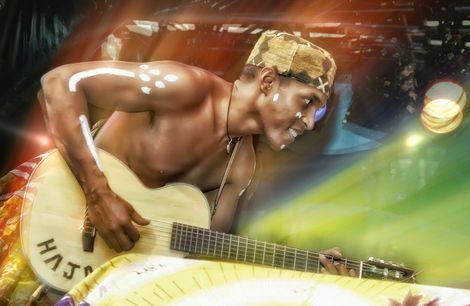 Masters of the traditional Tongan sound and rich rhythms, Mokoomba embody everything Africa Oyé stands for: showing the world the immense talent that the African music circles produce. Ghana is well represented by this year’s line-up. Osibisa, Atongo Zimba, Black Prophet and Yaaba Funk will be displaying the full spectrum of Ghanaian sound. Veterans Osibisa – formed in 1969 – will bring their rock-tinged cross rhythms of their latest release Aka Kakra to Oyé. Elsewhere, Atongo Zimba and his koliko, a two-stringed lute, will be the feelgood man of the weekend with his uplifting songs about love and romance. 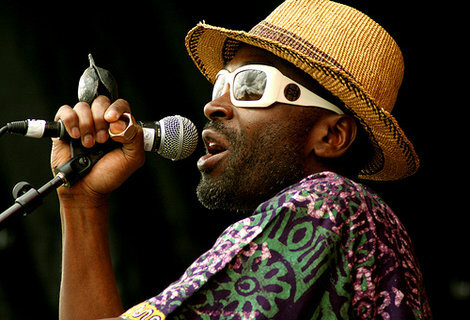 Reggae lovers will not be disappointed by Black Prophet’s traditional reggae sound, which he glamorously taints with an African vibe and Yaaba Funk, who played a storming set at the Picket last year after the adverse weather stopped play at Sefton Park. Also returning to Liverpool after a dazzling performance in 2012 is the Dele Sosimi Afrobeat Vibration and their blend of traditional Nigerian music and Afrobeat. 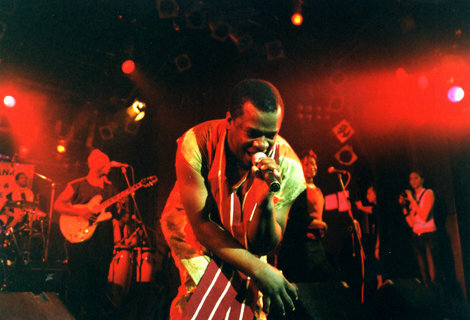 Dele was part of the Egypt 80 – Fela Kuti’s legendary band. This year’s festival is set to be spiced up by Son Yambu, a Cuban ensemble of Latin-American musical pioneers with a fire in their belly and flames on their heels. Bringing the sound of the Cuban Son from the streets of Santiago de Cuba to Liverpool, this band will be turning Sefton Park into a giant, sparkly fiesta. Throw the Zing Zong All Stars into the mix, a nine-piece full of high-spirited rhythms and bursts, and Oyé 2013 really does sound like the happiest yet. If that sounded like a whirlwind of sounds, flags and dancing then it is nothing compared to what the festival itself will be like – an infusion of all things worldly, an excuse to dance and a way of hearing some of the best music that the African continent has to offer. You can never cater for everyone, but the 50,000+ people expected at Sefton Park that weekend will be suitably appreciative of the veritable feast before them.